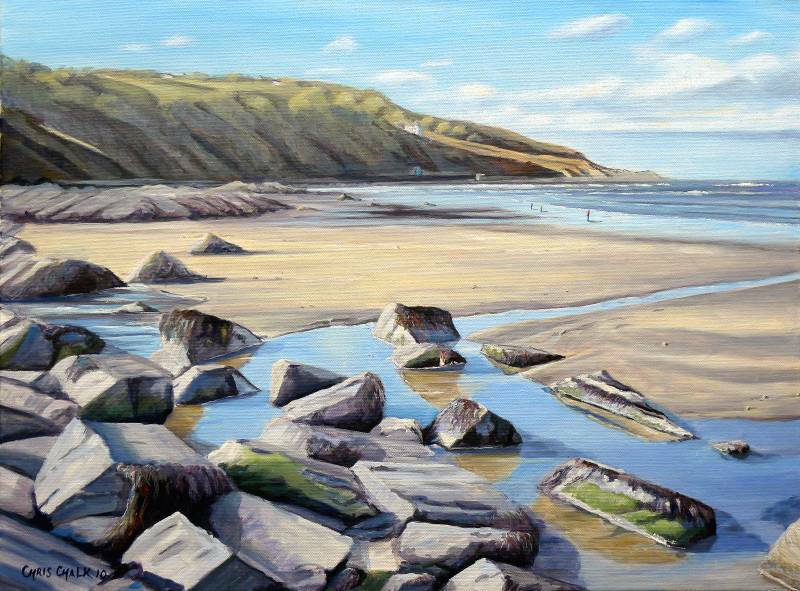 A painting of Poppit beach here on the west coast of Wales, which is wonderfully huge beach popular with dog walkers and kite flyers. The sea is relatively shallow for a long way out at Poppit, making it a safe beach for children. A painting to evoke memories of happy summers on the beach.